The cut crease eyeshadow technique has been one of the most popular makeup trends for a while now. It has taken over social media, so whether you love it or hate it, the cut crease is going down in makeup history as a legit look. This technique involves using a different colored eyeshadow to cut across the eyelid and create a sharp contrast in colors. The cut is not blended, forming a clear crease on the eyelid. It is especially wonderful for anyone with deep-set, small, or hooded eyes because it makes them look bigger and brighter. Creating a cut crease isn’t all that complicated, but it sure does take some practice. It also needs an understanding of eyeshadow placement, some killer blending skills, and the ability to sculpt a crease out of nothing but a flat shading brush and concealer. Do you think you have what it takes? Well, even if you’re new to the shadow game, you can still give it a shot. 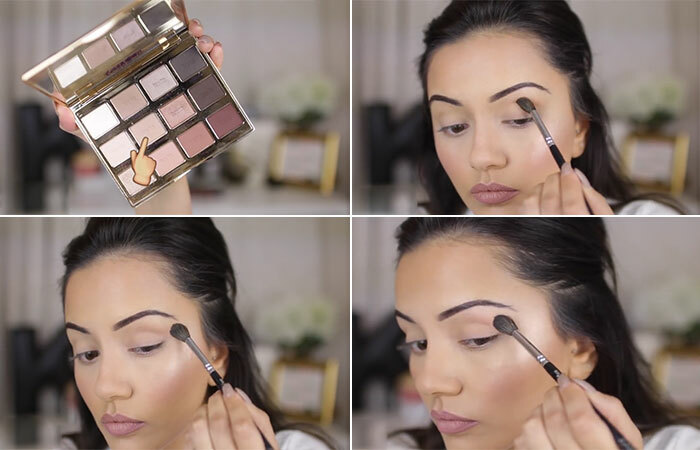 We’ve put together a simple tutorial to help you master the art of cut crease eyeshadow. You’re in charge of the colors you choose to create this look. You can use neutral-toned colors to make your eyes look more open. Or, you can go for bold hues to create a more dramatic look. 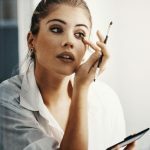 If you want to make any eye makeup look truly last, you need to put some serious effort into prepping. First, use a primer to make your eyelids as smooth as possible. Then, set the primer with some powder. 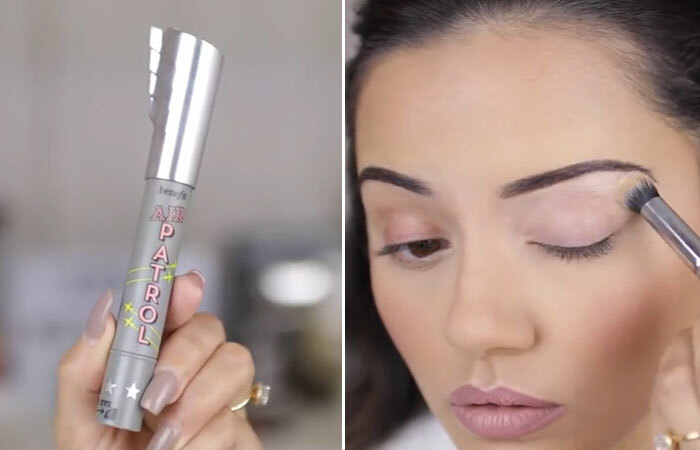 This will make your eyeshadow stay in place all day long. Pick a neutral tan shade from your eyeshadow palette. Pick up a small amount of eyeshadow with your brush and work it well into the crease. You can also flick it out slightly to create a fake wing. It will come in handy when you actually cut the crease. Apply a slightly darker shade in your crease area with a fluffy blending brush. Work it in the crease in small windscreen wiper motions to deepen it. Then, take a clean blending brush and run it over your brow bone for a more tidy finish. Take some concealer on the back of your hand. Then, lay it on to your eyelid using a flat lip brush. Create a crisp, clean line on your crease and wing it out slightly at the corners. Make sure that both your eyes are looking as similar as possible. 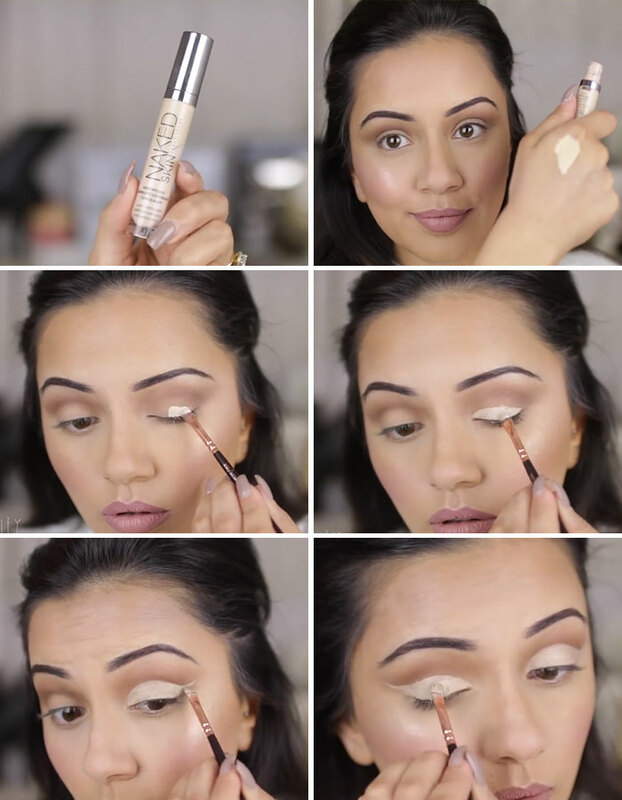 Use a shimmery gold eyeshadow and apply it directly on to the area where you applied the concealer. Apply winged liner in a way that complements your eye shape, curl your lashes, and apply mascara. If you want to take the look to the next level of glam, use a gold glitter eyeliner and apply it exactly where you cut the crease. Tip: You can customize this look using different colors for the crease, lid, and eyeliner. A pair of falsies can also add extra oomph to the look. 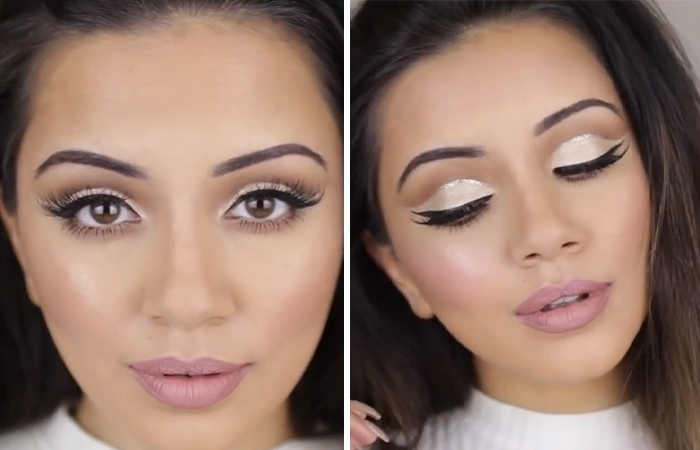 Here’s the final look – a crisp, classy, and ultra-chic cut crease! A cut crease eye look is perfect for just about everyone. It can make any eye shape look more open. It gives you the power to create a whole ton of depth while adding definition to your eyes. 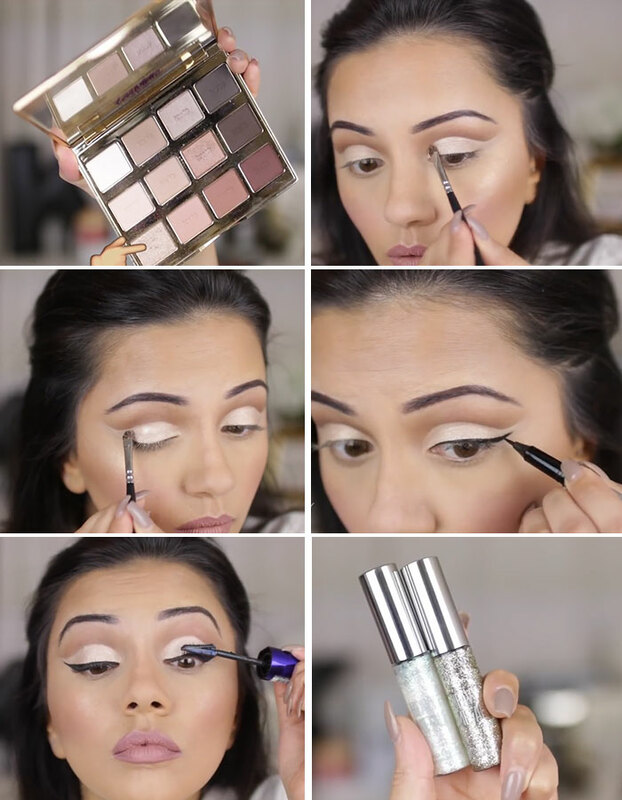 That was our take on creating the perfect cut crease in five simple steps. 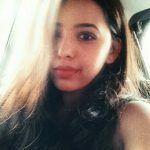 Are you looking forward to giving this makeup look a try? Let us know in the comments section below.